Through the person of David Nassy, Jerusalem Regained explores the adventures of a former Portuguese converso in the seventeenth century, from his arrival in Amsterdam and his participation in the Dutch world of geographical learning, his stay in Dutch Brazil, to his support for the return of the Jews to England, and his leadership in projects for Dutch colonization, especially in Suriname. What were the sources for his urge for Jewish colonization? What hopes were fulfilled? What contradictions were faced for Jews in establishing an ideal village based on the labor of slaves? 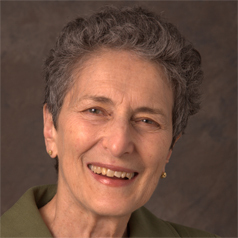 Natalie Zemon Davis is a Canadian and American historian of the early modern period. She is currently a professor of history at the University of Toronto in Canada. Please find more information and booking opportunities here.